The infamous Full Moon Parties held regularly in Koh Phanhan, Thailand are just as fun as they are dangerous. However, this year Asiafest offered a much safer version right here in Adelaide. The Full Moon Party kicked off the festival season on Saturday 10th October at Rymill Park hosting local DJs with international status. The theme was a refreshing change to usual summer festivals and was expected to attract 6,000 people. Partygoers couldn’t have asked for a better night to cover their bodies in fluorescent paint and wrap glow sticks around every limb. With the Zombie Walk concluding just around the corner, the city was alive with people. 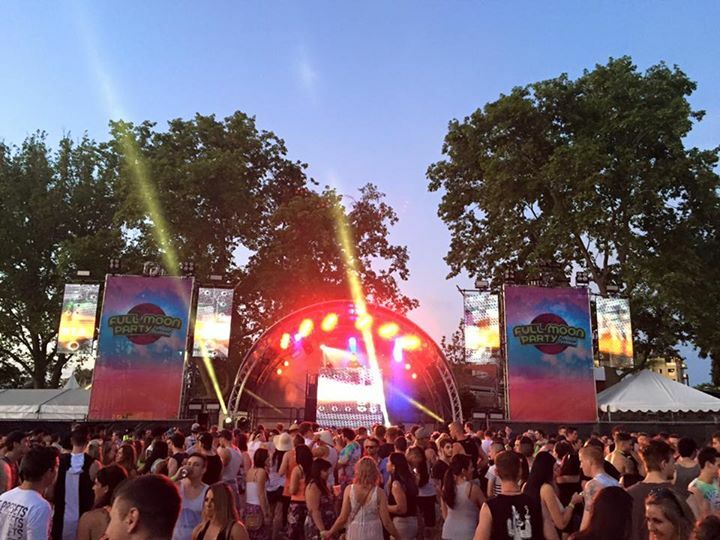 The main ‘Sunrise Beach’ stage hosted the likes of Australian DJs Reelax, Brooklyn, Havana Brown, Reece Low, Marlo and Goodwill. DJ Krunk delivered bangers to close. The smaller ‘Sunset Beach’ stage had Shawty, Tink, Laksa, Bliss, Rmac and Leah Mencel spinning tunes. Fire twirlers exhibited their incredible talents on the side of both stages. Who’s thirsty? Beer and cider was available on tap as well as sparkling, white and red wine by the glass. The festival also promised to serve beverages the traditional Full Moon way in the famous buckets, but liquor licensing stepped in at the last minute. All buckets available for purchase were required to have holes drilled in the bottom, rendering them pretty poor drinking apparatus. 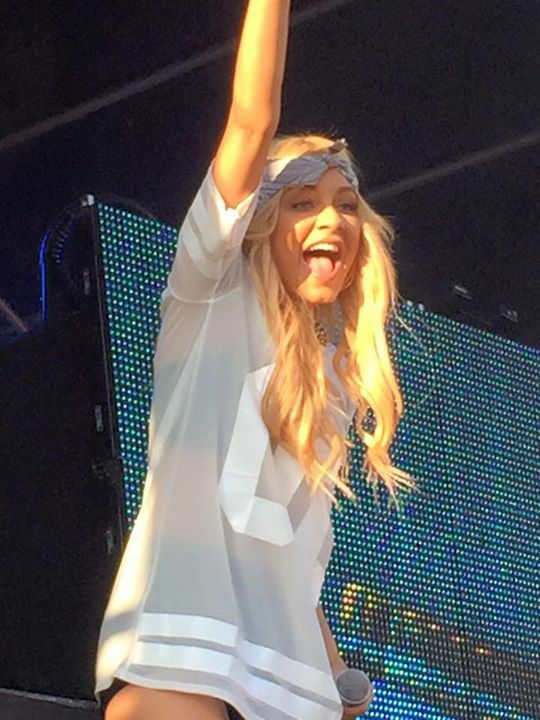 DJ Havana Brown at The Full Moon Festival. Photo Credit: Tony Polese. There was a surprisingly extensive cocktail menu for a festival with names such as Haad Rin Sunrise, Palm Beach Long Island, Love You Long Time, Boom Boom and Tipsy Koala Cosmo (the mental image on the last one is pure gold). Real, fresh coconuts with a shot of rum were also available for 15 bucks a pop. For those looking to give their liver a rest, peach, coconut and mango iced tea and coconut water were a refreshing alternative to liquor. After hours of cutting shapes revellers could satisfy their hunger (or dessert cravings) at Beyond India, Phat Buddha Rolls, Cargo, Choco-nana (frozen bananas –yum!) and Copenhagen. What would this infamous party be without a moon that even Bear in the Big Blue House would envy? 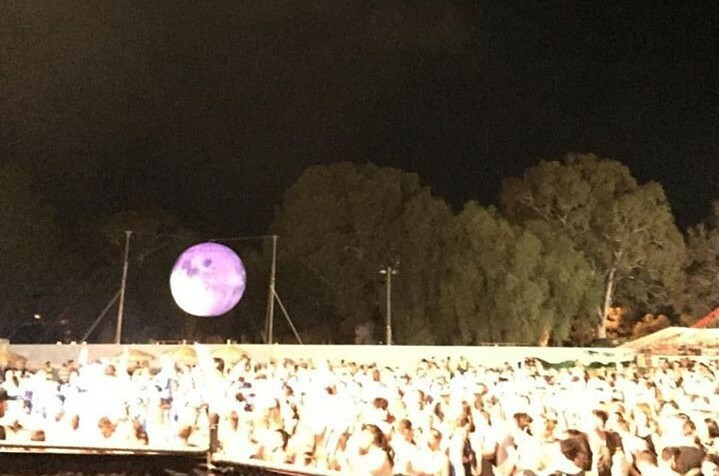 A huge inflatable moon overlooked the entire festival and changed colours from green, blue and purple to red, orange and yellow. It was beautiful! One of the stages at the Full Moon Festival. Photo Credit: Tony Polese. VIPs kicked back in a fenced-off section beside the main stage complete with umbrellas, deck chairs, small tables and a private bar. There was certainly some amazing sights at the festival, like the exotic fire dancers and the colourful bunting and lanterns which reflected their light onto the lake. And as with every festival, there were some interesting sights, like the shirtless lads sporting sunnies well after the sun had gone down. The Full Moon Party’s entrances connected to Asiafest allowing movement between both festivals and creating a realistic holiday experience that we definitely enjoyed! All photos courtesy of Tony Polese.